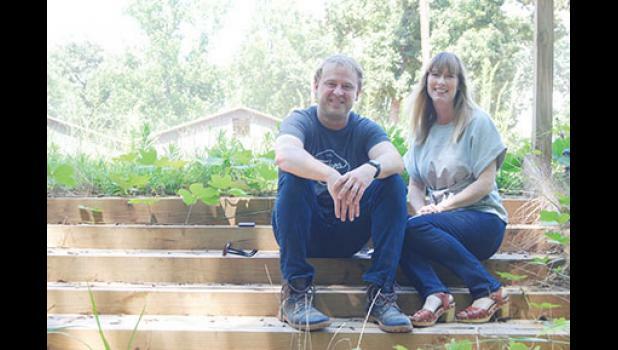 The couple is one of the newer tenants of the Taylors Mill, opening The Southern Bleachery as an events space for weddings, church gatherings and more. 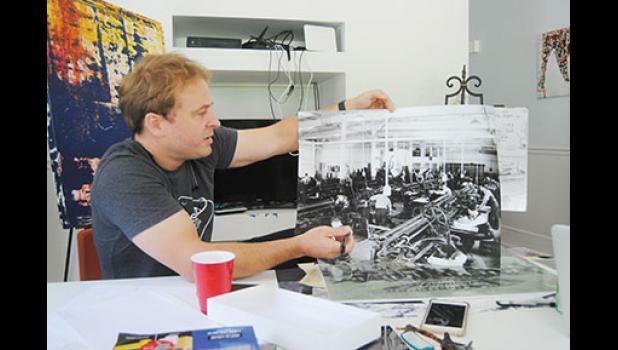 With 20 years of startup business experience, Lawrence sees numerous possibilities for their portion of the Taylors Mill property. “This place, it just started sparking a whole bunch of thoughts for a whole bunch of different businesses,” Lawrence said of his original visits a few years ago. “I couldn’t figure out what those different businesses were. That’s where my wife came in. The Southern Bleachery’s name commemorates the property’s original use. “No matter how you think people are going to want to organize their wedding, they’re going to do it different,” Lawrence said. “The best thing you can do is create a blank slate with the infrastructure and modern amenities. Initially, the Blacks got mixed feedback. Lawrence is taking his time to get this project right. Working together, Lawrence and Ashleigh envision a large family-friendly venue for festivals, such as the Indie Craft Parade. “What I like best about this is I feel like we’re building something that we’re going to use,” he said. Outdoor stages with seating, rocking chairs, hammocks, play areas, parking, a coffee shop and trails are some key features in the works. “I think if we do this right, if our vision’s right, then people are not just going to come here, go through for 30 minutes and then disappear,” Lawrence said. The request to bring the Indie Craft Parade to the Taylors Mill shifted the Blacks’ focus from the smaller infiltration plant at the front of the property to the larger building at the back of the property. The Blacks envision three phases for the substantial work to be done in about four years at the Taylors Mill. Grading is being done to accommodate a large parking lot. 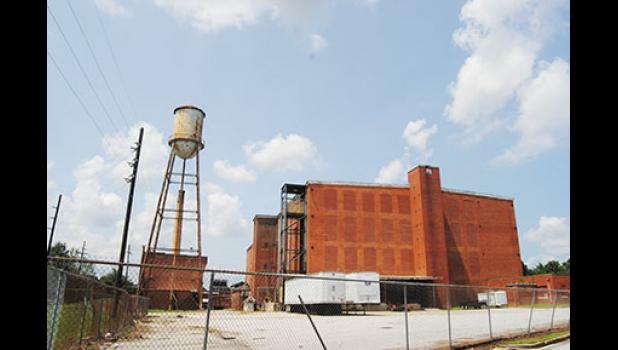 The Blacks are also working to get the warehouse on National Register of Historic Places. The Blacks are also looking to have the infiltration plant (Doug Young’s former studio space) redeveloped into another wedding venue or corporate retreat location by spring. The boiler room has the smoke stack. The Blacks are also partnering in the redevelopment of the Greer Mill into 100 or so apartments and 25,000 or so square feet of retail space in the next two years. Whereas the redevelopment of the Taylors Mill has more flexibility, the Greer Mill is following a more traditional path for redevelopment. Lawrence and Ashleigh both have family from the Upstate area. “You can experience Greer in a day,” Lawrence said. 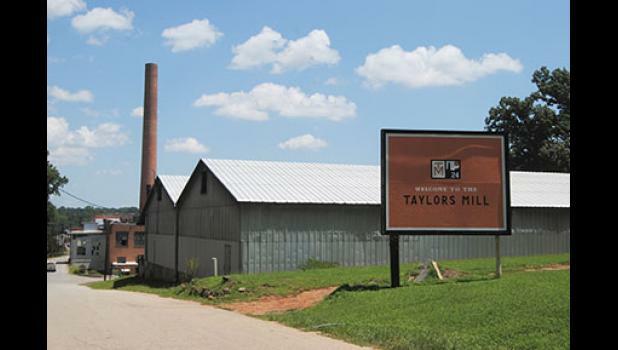 The Blacks moved from Taylors to Greer this year, had their third son, started construction on part of the development at the Taylors Mill, and undertook the Greer Mill. “I think I’ll be doing little things hopefully forever here,” Lawrence said of the Taylors Mill. Lawrence and Ashleigh have three boys—a five-and-a-half-year-old, an almost two-year-old and a four-month-old. “We are a house full of boys,” Ashleigh said. In addition to the two mills and three boys, Lawrence and Ashleigh are maintaining certain aspects of their prior employment with conference calls and board meetings. “I still sit on some boards for organizations related to international development, child health and nutrition, agricultural, things from a previous life,” Ashleigh said.